Pursue your interest in caravanning and spend time with other members at your local Centre. 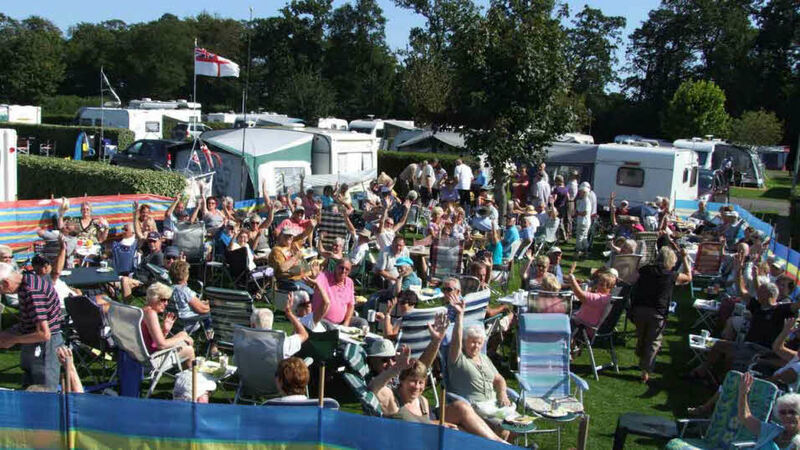 Each Centre regularly organises rallies in interesting and popular locations as part of the Club's ethos of supporting the social and fun aspects of caravanning. There are 69 Centres in the UK and Ireland. Each aims to provide local benefits to members living within a particular area, including organising fun rallies for local members. Centres are run by voluntary committee members, who are elected at the Annual General Meetings (AGMs). To attend and vote at a Centre AGM, Club members must be a current registered member of that Centre. It's free to join your local Centre and you can get involved as little or as much as you like - log into the membership area to join or call our contact centre on 01342 318813. A rally - sometimes known as a getaway, Centre event or temporary site - is simply a gathering of Club members who enjoy weekends and longer breaks together - Similar to the National, but on a smaller, more local scale. Rallies are held at diverse locations such as national parks, stately homes and caravan sites. Sometimes, rallies are held overseas so you can enjoy the best of the UK and Europe combined! You don't need to be a member of a Centre to attend and all ages are welcome. 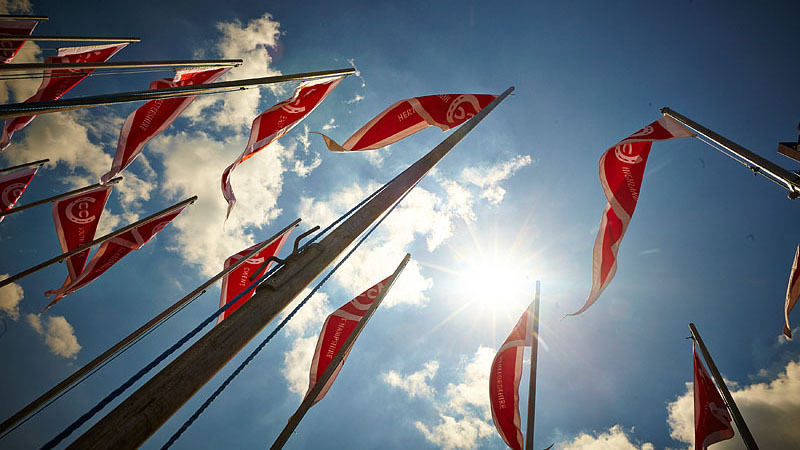 Above all, rallies are about having fun – there is no pressure to take part in any of the activities. You can find each Centre’s rally programme on its own website along with contact details for the organisers. 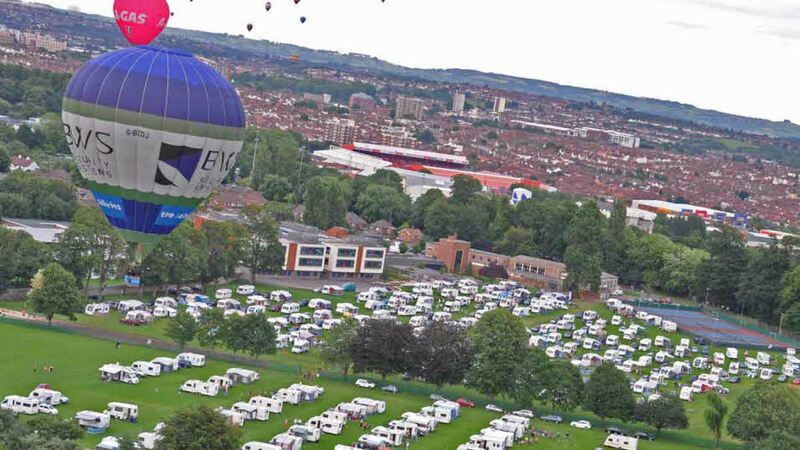 It's free for members to join a Caravan and Motorhome Club Centre. Simply login to My Profile and follow the link to join a Centre. Experience local events and shows with like-minded caravanners and motorhomers. Great for kids! 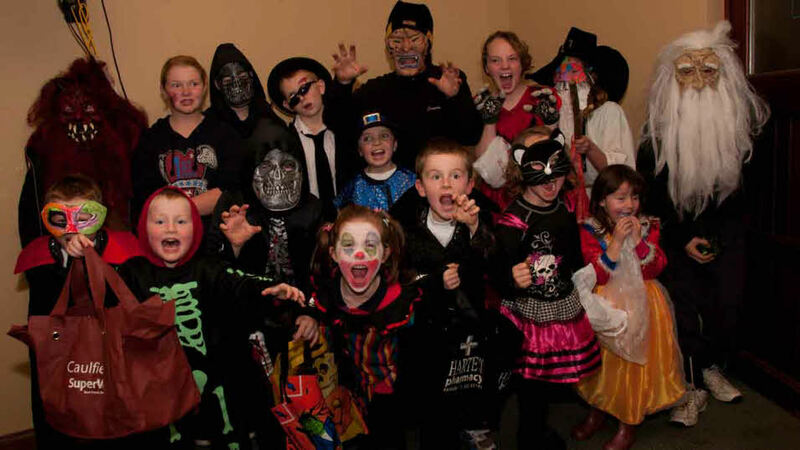 Centres often organise seasonal events for the whole family. Lots of centres may include your pitch, entertainment and meals in the rally price! The 1960 Act the Caravan Sites and Control of Development Act (1960). Exemption Certificate the certificates issued by the governments in England, Wales, Scotland and Northern Ireland which enable the Club to conduct activities (rallies) listed in Schedule 1 of The 1960 Act without the need to apply for a caravan site licence. Independent Accountant a firm which is a registered auditor under the Companies Act. Officers the elected Committee members. Registered member a Club member who has registered with that Centre. 1.2. General Letters to Centres issued to all Centres by the Director General provides further explanation of these Rules. Should any question arise as to the interpretation of the Rules, the matter shall be referred to the Executive Committee whose decision shall be binding on all parties. 2.1.1. Elect from amongst themselves a Committee, comprising the Centre’s officers, which must include a Chairman, Treasurer and Secretary and, if desired, one or more Vice-Chairmen to run the Centre on behalf of the registered members. Appointments resulting from Centre elections are subject to the approval of the Executive Committee. 2.1.2. Appoint an Independent Accountant. The Independent Accountant shall not be a member of the Centre Committee. 2.2. No registered member may be elected to fill more than one of the positions referred to in Rule 2.1.1. 2.3. Other than the mandatory positions of Chairman, Treasurer and Secretary, the Centre Committee may appoint officers as it deems desirable. All such appointments shall be reported to the Director General. 2.4. The number of members of the Centre Committee shall be determined by the Centre Annual General Meeting (AGM), but shall be not less than five or more than 15. 2.5. The Centre Committee may fill casual vacancies by co-opting members to the Committee to bring the number up to the number approved by the Centre AGM. The Director General shall be notified of such co-options. 2.6. The quorum for any meeting of the Centre Committee shall be four or such higher figure as the Centre Committee shall determine. 2.7. The Centre Committee may establish subordinate Committees as it deems desirable. 2.8. The Chairman and Vice-Chairmen of the Club shall be ex-officio members of all Centre Committees. 3.1. A Club member may register, in the format prescribed, with not more than one Centre on joining the Club and on an annual basis at the time of Club membership renewal. It does not necessarily have to be the Centre covering the area in which he resides. Registration with a Centre will entitle a registered member to be informed of that Centre's activities. 3.2. A Joint or Family Member may only register with the Centre with which the corresponding Full Member is registered. 4.1. Centres may make additional rules, as agreed and, from time to time, amended by registered members in General Meeting, to cover the conduct of Centre activities. Such rules are subject to Executive Committee approval and shall be made available to the members of the Centre concerned. 4.2. Centres may not organise rallies, which involve use of the Club’s Exemption Certificate, outside their own areas except by permission of the Centre covering the area concerned. Such permission shall not be unreasonably withheld. Applications for permission must be submitted not less than six months in advance of the date of the proposed activity and the reply must be given within five weeks of the application being received. In the event of unforeseen circumstances, it shall be permissible for the two Centres concerned to agree to waive strict adherence to these time limits. 4.3. All activities organised by a Centre shall be open to any Club member subject to space being available. All members shall apply in advance to participate in Centre activities. 4.4. To comply with The 1960 Act, only rallies officially organised by, or on behalf of, the Centres are permitted. 4.5. Centres shall advise the Director General of all activities it is proposed to arrange by forwarding the Centre’s rally programme. The Director General shall be advised of amendments to the rally programme in good time. 5.1. Centres may not impose any additional annual subscriptions on members, but may collect fees from members for activities organised by the Centre. 5.2. No Centre shall pledge the credit of the Club unless authorised by the Executive Committee. 5.3. Grants received from Club funds by a Centre shall be expended strictly in accordance with the conditions attached to such Grants and wholly for the benefit of members registered with that Centre. 5.4. The funds of a Centre shall be administered by its Committee to the approval of the Executive Committee. On the winding up of any Centre any remaining funds, trophies, etc, shall rest with the Club. 5.5. A Statement of Accounts for the preceding year, ended 31 December, together with an Independent Accountant’s Report, shall be forwarded by each Centre to the Director General before the 31 March each year. 6.1. Centres shall hold their first Annual General Meeting (AGM) within 18 months after inauguration. Thereafter, AGMs shall be held at such time and place as the Centre Committee decides, provided that every AGM shall be held not more than 15 months after the holding of the previous AGM. 6.2. The quorum for an AGM is five members registered with the Centre. 6.3. Officers shall be elected, and an Independent Accountant appointed (see Rule 2.1.2), at each AGM to hold office until the next AGM. All officers and other Committee members must be paid-up Club members and be registered with the Centre throughout their period of office. Centres may adopt their own additional rules governing the eligibility for re-election of their officers and other Committee members. 6.4. Any two registered members may propose any registered member to be an officer of the Committee of the Centre to which they are all registered. Written nominations for election, confirmed by the nominee, the proposer and the seconder, must be received by the Centre Secretary not later than fourteen days before the AGM. 6.5. Formal notices of motion from registered members, duly signed by the proposer and seconder, must be received in writing by the Centre Secretary not later than 35 days prior to the AGM. 6.6. Not less than 21 clear days' Notice of AGMs shall be given to each member who has registered in accordance with Rule 3.1. Only those members who have, at least 35 days prior to the date of any AGM, submitted the form referred to in Rule 3.1 shall be entitled to receive Notice of, or to speak or vote at, such Meeting, and shall be eligible for election to the Committee at such Meeting. The Notice of the AGM shall state the date, time and place of the Meeting and the principal business to be transacted, and shall include a copy of Rule 6.4. Items that materially affect Centre activities added subsequently to the Agenda shall be notified to members accordingly. 7.1.1. on the instructions of the Executive Committee or of the Centre Committee. 7.1.2. at the request, in writing, signed by no fewer than 50 registered members and stating the address of each such member. Such requests must set out clearly the purpose for which a SGM is deemed necessary. 7.1. Fourteen days' Notice of a SGM must be given to each member who has submitted the form referred to in Rule 3.1 and the Notice convening the Meeting must set out clearly the purpose for which it is being held. Members who have not, at least 14 days prior to the posting of the Notice convening any meeting, registered in accordance with Rule 3.1 shall not be entitled to receive Notice of, or speak or vote at, such meeting. 7.2. The quorum for a SGM is five members registered with the Centre. 8.1. If, on the taking of a vote at any meeting, there is an equality of votes, the Chairman of the meeting shall have a second or casting vote. 9.1. The Centre Committee is empowered to take disciplinary action against any member who in the opinion of the Committee is guilty, either directly or by persons for whom he is answerable, of any conduct at any of that Centre's functions prejudicial to the good repute of the Club, the Centre or the comfort or convenience of other members attending one of that Centre's activities. 9.2. Disciplinary action may take the form of suspension from that Centre's activities. The Director General shall be informed of suspensions imposed under this Rule. 9.3. Any member who is disciplined under this rule shall be given the opportunity of putting a statement before the Centre Committee at a meeting convened by that Committee. 10.1. The Centre Committee shall appoint two delegates to the Council of the Division or Region that covers the geographic area of that Centre. 11.1. The Club is registered with the Information Commissioner’s Office (ICO) as a data controller and is responsible for the compliance of all personal data processed in the course of Centre activities. Members’ personal data that is stored or processed by Centre Committee members in paper or electronic form, including on Committee members' computers and other devices, is subject to UK data protection law and must be handled in accordance with the law. 11.2. Personal details of currently registered members only are to be held by Centre Committee members and are for the sole purpose of communicating Centre business, including activities. It is considered a legitimate interest of the Club to process personal data for the purpose of Centre business and activities. Centres should also be aware that processing data under this lawful basis can be objected to by a Centre member. In the event that a Centre member objects to the processing of their data for Centre activities the Centre must take necessary steps to ensure this is actioned and liaise with EGH as necessary. 11.5. In the event that a member exercises one of their rights and makes a request in relation to their personal data, the Centre member receiving the request should inform the Club immediately (due to the limited timeframes given to respond) and the Club will provide further guidance and support. 11.6. The ICO has published further guidance to the General Data Protection Regulation (GDPR) and this can be found on their website. Importantly, in every instance inform the Club to ensure correct procedures are being followed. It is unlikely that Centres will be approached in relation to all of the above rights. Committee members should therefore take care when generating correspondence, whether by letter or email, which refers to their Centre members. It is recommended that factual statements are adhered to, rather than personal opinions, where possible. In addition, if personal data is thought to have been lost, stolen or misused, the Club must be informed immediately. 12.1. The approval of the Executive Committee is required to amend these Rules.